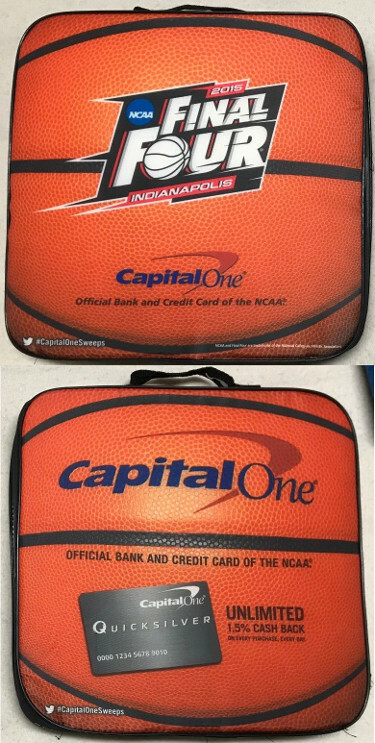 This is a 2015 NCAA Basketball Tournament Final Four Seat Cushion. Both sides of cushion shown in image. NOTE: ONLY ONE SEAT CUSHION. No Tears, stains or holes on cushion.